A rare find! 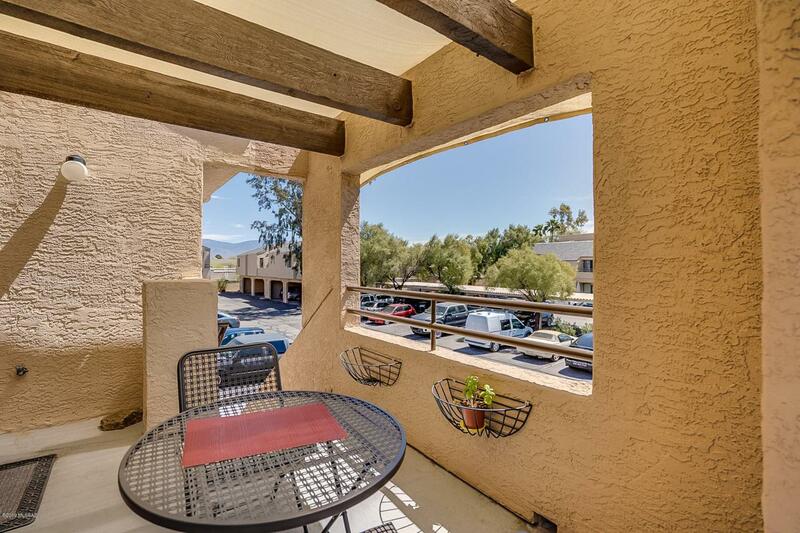 Well maintained, Upper, One level Condominium, High Ceilings - Bright & Airy! 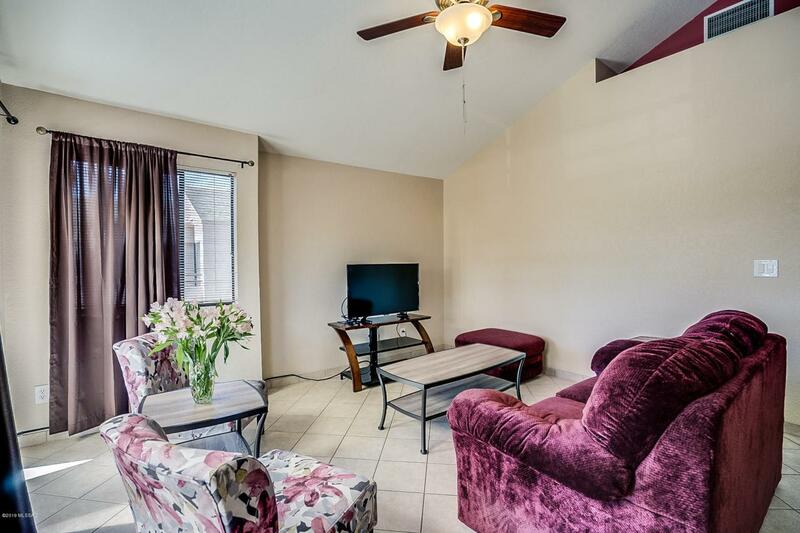 Two bedrooms, 1 Jack-n-Jill bath, Tile floors and new Carpet in bedrooms. 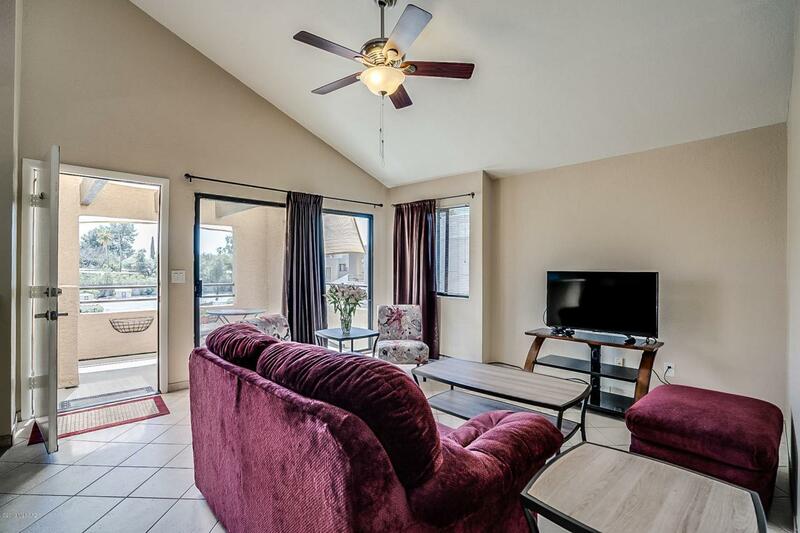 Great Room, and 2 Private patios. Kitchen w/ tile floor, electric range/oven,, disposal. Breakfast Bar eat-in area/dining room w/ tile floor. New Stackable washer/dryer in laundry closet in unit. 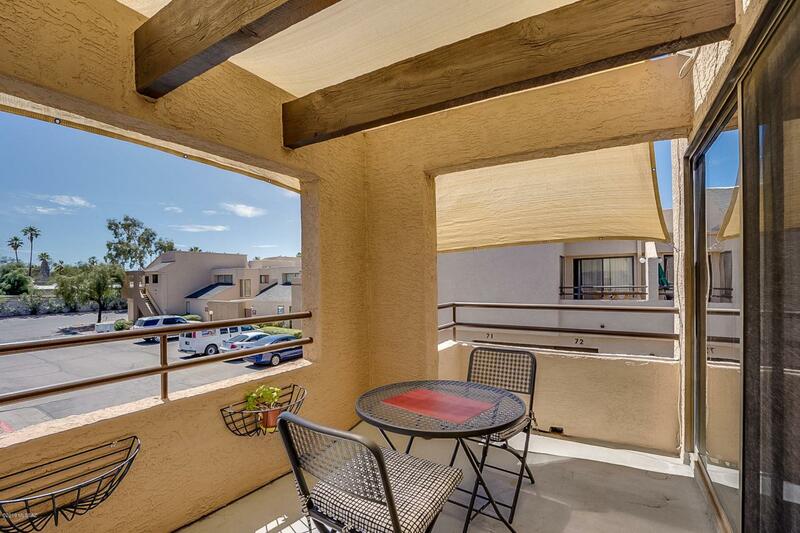 Shade cloth over balconies for enjoying the warmth of Tucson! Covered, Designated Carport and plenty more Landscaped grounds Community Pool & Spa and a Very Short walk to Morris K. Udall Park & Recreation center. Very desirable GREAT LOCATION! !